While the Beetlejuice Terrarium will always hold the most special place in my heart, the OrchidBox has also won me over. 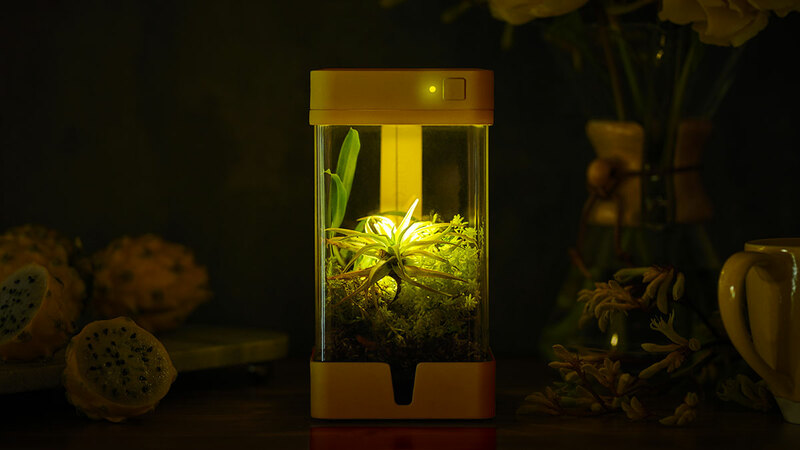 A forthcoming self-contained mini ecosystem, the OrchidBox gets smart about house plants with Wi-Fi connectivity and an accompanying app that allow the prism o' plant life to sync with sunrise / sunset times, and track its own watering needs. 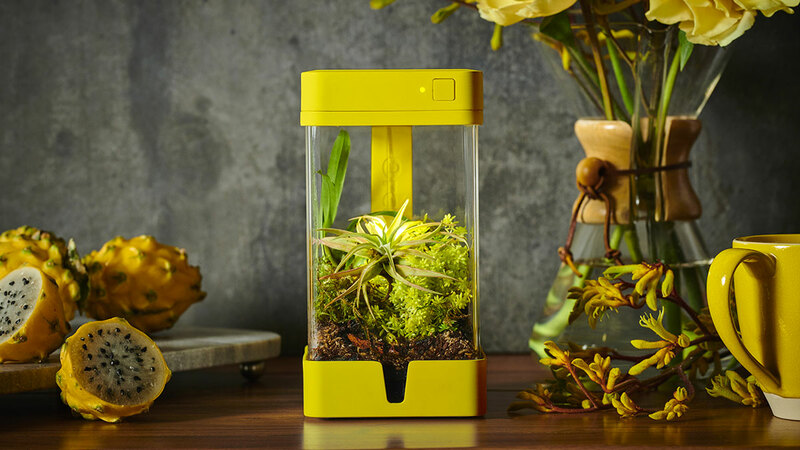 The OrchidBox is also a plug & grow container, so you won't need pumps of fans, and there's no need to learn how to use complex settings. 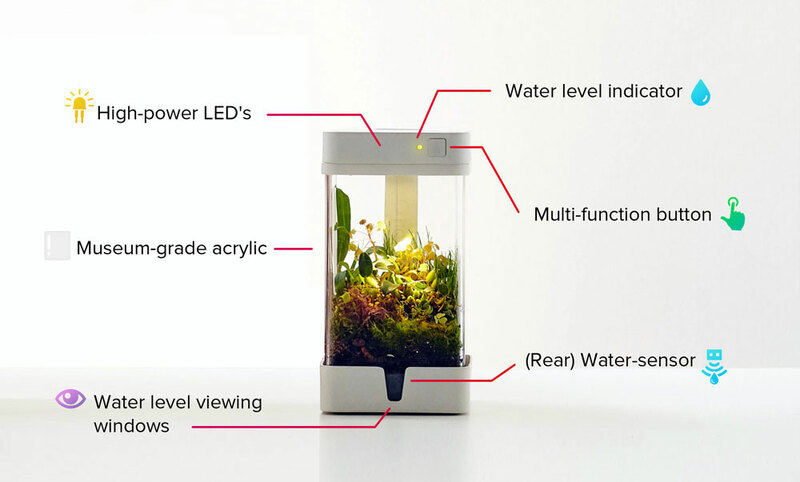 The smart mini terrarium is 7" tall and requires a 4" x 4" footprint on your countertop, bookshelf, desk, or nightstand. 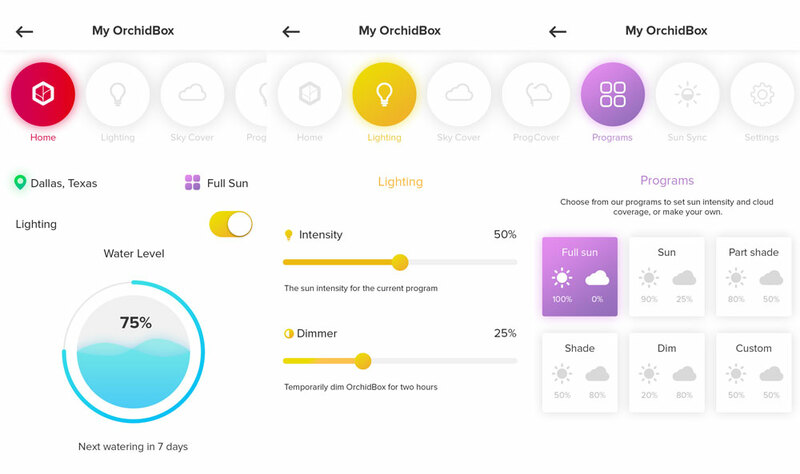 Based on what you decide to plant - anything from moss and succulents to herbs and wheatgrass - the OrchidBox app provides a selection of pre-programmed environments you can activate to help them grow. Inside the acrylic box are sunlight-simulating LEDs that output over 400 lumens of light, or about 50% of the sun's intensity on a summer day. 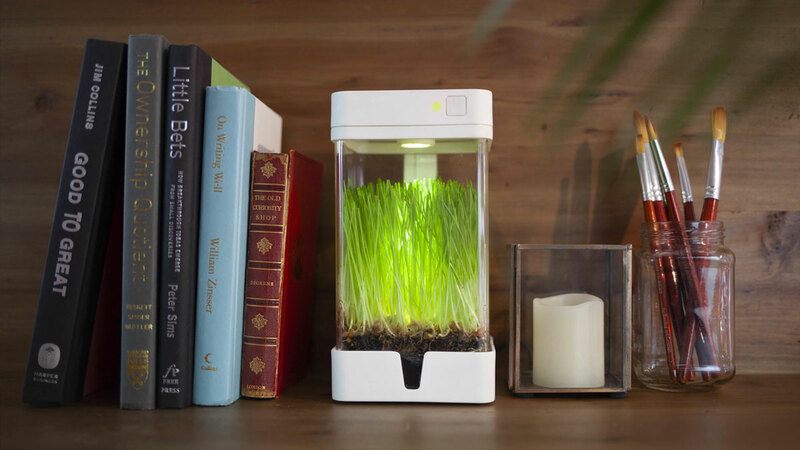 OrchidBox notes this is perfect for those wanting to cultivate Venus Fly Traps, which are apparently as light-hungry as they are blood-hungry. 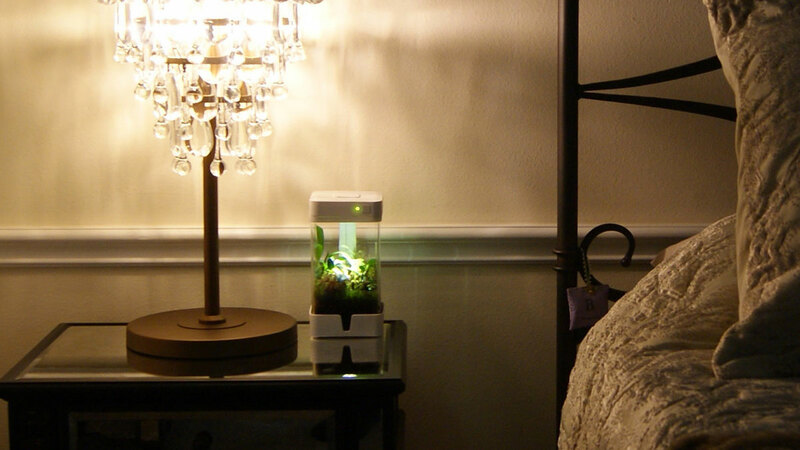 In general, you'll need to tend to your OrchidBox Mini just once every 2 to 4 weeks, though you'll always get a notification through the app when it wants some water. Also when water levels are low the front LED indicator will grow redder. At printing, the OrchidBox Mini wasn't yet available for purchase, but it's on its way, with an option for interested buyers to subscribe to an update email list.